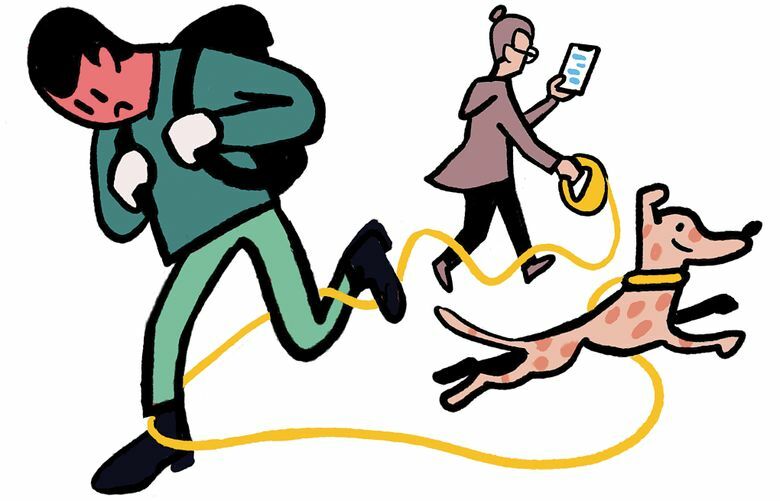 RANT To oblivious dog owners who walk their dogs in crowded areas without regard to the length of their leash, causing trip hazards to people around them. RAVE To all the churches, senior centers, restaurants and other facilities that host 12-step meetings for recovering alcoholics and addicts and their families. The societal impact of these diseases is devastating and the hope and help offered by these groups is priceless. Rave that there are over 2,000 meetings a week in the Greater Seattle area! RANT To the police department for not patrolling Third Avenue more frequently. It’s not uncommon for people waiting at the bus stop to see drug users injecting or nodding off. Is a drug-free zone possible? RANT AND RAVE Rant to the couple coming through Customs who were extremely upset about the long lines and yelled and swore at the staff. Rave to the Border Patrol staff who tried to explain the situation and didn’t lose their patience. RAVE To the Office of Superintendent of Public Instruction for the Running Start program. As a current Running Start student I’ve experienced the opportunities it offers high-school juniors and seniors. I’m very grateful to live in a state where I have control over my education and can choose to take classes at a community college, nearly free of charge, getting a “running start” on my college education, taking classes that truly interest me, and learning in an environment that best suits me. I hope more students take advantage of this wonderful opportunity. RANT To frequent, long traffic jams because our street has been narrowed to add a bike lane. Recycling and garbage trucks no longer have room to pull over while making their rounds and we can’t go around them because of cars going in the other direction. RAVE AND RANT Rave to my gym for setting up a GoFundMe page for an injured employee who’s been unable to work and has substantial medical costs, and to the generosity of members and staff who donated. Rant to members who complained; you’re under no obligation to contribute and no one will know one way or the other. RAVE To the beautifully written and amusing obit for an old sailor. I got pretty choked up about someone I’d never met, but who obviously had lived a full and well-loved life. RAVE AND RANT Rave to the Seattle Sounders’ wonderful Sound Wave band. Rant to inconsiderate fans who try to drown them out by beating their big bass drums when Sound Wave is entertaining soccer fans. RAVE To all those who spread laughter, love and kindness every day. It’s easy to focus on those who have done a “big” accomplishment, while we should be recognizing the people we encounter in our life who bring simple joy to the world. We appreciate you all!